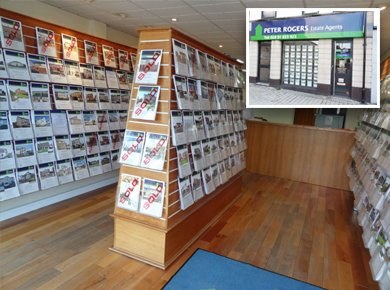 Peter Rogers Estate Agents have set out to simplify the process of moving house by taking the stress and hassle out of your move as much as possible and will monitor and advise you from the beginning to the end of your sale. For the first time buyer it is always a daunting project of buying that first home, getting the right mortgage and pulling the whole equation together. That is where we come in! We offer a free no obligation valuation of your home and will endeavour to do so at a time most suitable to you. Flexiblility and good communication are the key to looking after your clients.